All fruits, vegetables and natural foods have certain benefits and health properties. However there are some very powerful natural foods that are very important in modern disease prevention. I like to call them nature’s little miracles. Nature’s little miracles provide a myriad of health benefits and can make a difference when introduced as a regular eating habit. I list some of them here. Chlorella and spirulina are two single-celled algae. Although they both individually can qualify as “superfood”, they seem to become something truly special when consumed together due to their complementary nutrient profiles. Chlorella contains more chlorophyll and iron, and is good for chelating heavy metals from the body and repairing cell damage due to its unique growth factor. Spirulina contains more protein, gamma-linoleic acid (fat essential for brain function) and phycocyanin (anti-cancer compound). Term “Lactic-acid-fermented food” is used for yoghurts both made from dairy and nut milks, kombucha, sauerkraut, kimchi, pickles and other fermented (“cultured”) vegetables and juices. These fermented foods have very high levels of probiotics (significantly more than probiotic supplements! ), and break down and eliminate toxins including heavy metals from the body. To make fermented vegetables you would only need salt, vegetables and filtered water — no fancy equipment required. Whilst we all use herbs and spices, I enlist here some of the top spices/herbs renowned for their medicinal purposes. Garlic. I can’t imagine a day spent without using garlic in abundance in our meals. Garlic possesses potent antiviral, antifungal, and antimicrobial properties and is able to help protect and facilitate removal of unfriendly bacteria. It is also very high in natural antioxidants that destroy free radicals, which also supports a strong immune system. Read more Garlic – Nature’s Little Miracle. Cayenne pepper. The benefits of daily cayenne usage are widely known. Cayenne pepper consumption dilates the blood vessels and speeds the metabolism due to the high amounts of capsaicin, the greatest circulation stimulant known. Florida, California and Mexican Habanero Peppers, African Birdeye Peppers, Chinese Hot Reds, Korean Aji, Thai Red, Japanese Red, Aleva, Serrano’s, California Jalapeno’s are some of the sorts. The rule: the hotter – the better. Turmeric/curcuma has been used in treatment of a range of diseases, including cancer, Alzheimer’s, diabetes, allergies, arthritis and others. Ginger is known for providing gastrointestinal support, as immune boosting, anti-inflammatory, for protection against colorectal cancer, ovarian cancer etc. Cinnamon is known for anti-clotting actions, anti-microbial activity, blood sugar control, as support for colon health, brain function and protection against heart disease. In addition to these, black pepper, coriander, parsley, fenugreck, basil, peppermint, cloves, nutmeg, cumin, rosemary, paprika, oregano are some of the other “power-spices” also known for their health properties. Wheatgrass is obtained from the young shoots of the wheat plant and it is one of the most dense foods known. 4 grams of wheatgrass powder supplies us with 1,600 percent of our recommended daily allowance of vitamin E, 7,000 percent of manganese, 15,293 percent of riboflavin, 413 percent of zinc and similarly phenomenal concentrations of other essential nutrients. Wheatgrass is also world’s finest source of chlorophyll, a powerful blood builder and cleaner which makes wheatgrass a potent detox food as well as a superb nutrient supplement. Sprouted seeds support for cell regeneration, are sources of antioxidants, minerals, vitamins and enzymes that protect against free radical damage, have alkalinizing effect on your body and are very rich in oxygen, which can also help protect against abnormal cell growth. Sprouts contain up to 30 times the nutrition of organic vegetables and allow your body to extract more vitamins, minerals, amino acids and essential fats from the foods you eat. You can also grow your own wheatgrass from wheat seeds. Sprouted seeds and grains are easy to grow, even if you don’t have a lot of space or an outdoor garden. I use sprouting trays like these that you can buy in most of the health stores. A lot has been written and said lately about broccoli. The unique combination of antioxidant, anti-inflammatory, and detoxification properties in broccoli make it a unique food in terms of cancer prevention. Broccoli also provides digestive and cardiovascular support and many other health benefits. Cauliflower, all sorts of cabbage, bok choy are other cruciferous vegetables and all of them exhibit multiple powerful health properties. Chia seeds are an incredibly rich source of nutrients, antioxidants, great source of fiber. Chia seed reduces inflammation, lowers cholesterol and regulates bowel function. Avocado used to be considered too high in fat. While it is true that avocado is a high-fat, the fat contained in avocado is unusual and provides research-based health benefits. Avocado is known for promoting heart health, anti-inflammatory action, helping absorption of carotenoids, anti-cancer benefits, promoting healthy, naturally glowing skin and many others. 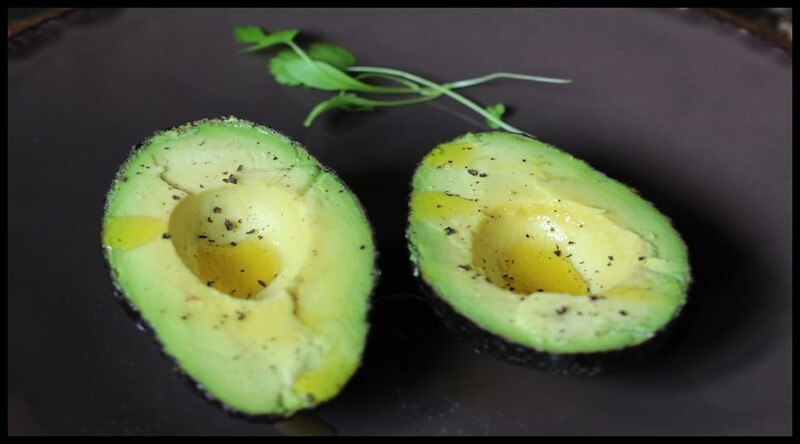 Make sure you use dark green pulp next to the skin – it is the most precious part of avocado. The most famous use of avocado is probably to make guacamole. There are countless different varieties of this recipe. Here you can find my Quick Guacamole Recipe. Soaking nuts is important as it starts the sprouting process and make their full nutritional potential available. Soaking releases enzyme inhibitors making the nuts digestible. Seeds and nuts contain enzyme inhibitors that must be broken down before the seed will germinate. By soaking seeds and nuts in the warmth of your home, their enzyme inhibitors are broken down, and they become more nutritious and easier to digest. Many seeds and nuts such pumpkin seeds and almonds do not really sprout, but still benefit from being soaked in water. no soaking required (brazil, macadamia, pine and pistachio). Blueberries are high in antioxidants and one of the top anthocyanin-rich foods (type of A flavonoid responsible for the purple color, known to have amazing health benefits). Blueberries are beneficial against cancer, inflammation, bacterial infections and heart disease, improving memory, age-related neurodegenerative disease and other neurological diseases. Wild Alaskan salmon is a delicious and healthy anti-inflammatory food. Bone broth improves digestion and help reduce inflammation. It contains calcium, phosphorus, magnesium, sulfur chondroitin and glucosamine, all easily absorbable. Bone Broth Recipe.